Had such great luck with everything I bought last year I'm back! Thanks for the great plants I can't wait for spring to plant my next order. We love you ! The beautiful berry plants you send us are so big and healthy with such enormous healthy roots, we are just so overwhelmed and impressed with your expertise. Every year we add a few more varieties to our farm, and every year we are so excited about what you offer to we berry growing enthusiasts ! My husband and I just love our berry farm and we work there every morning from 6 am till 10:00 am when it becomes too hot. We have ordered from everywhere and your products are by far the most superior of all from anywhere else. My husband is healthy, but, if he should die, I would like to come back there and marry any one of you who isn't married because we want to keep our berry farm going strong and you are truly the berry-gods and goddesses of our planet. We feel so lucky to have found your establishment and thank you so heartily for doing such a fabulous job on everything that you do. I just wanted to send you a quick note. I bought 20 bare root raspberries and 10 bare root blackberries this Spring, and unfortunately when you sent them, we received some heavy rains. I followed your instructions and put them in the refrigerator, but after 4 days I finally decided that they need to get in the ground. I "mudded" each of the 30 plants in the area that I had prepared, and I told my wife that night that I had zero chance of them growing. I wanted to let you know that as of today, all 30 plants are sprouting new growth on the canes, and I even have some new sprouts coming up from the roots. Man, they must have been some great plants! Thanks for sending such quality products! Just a quick note of appreciation for your service. You do it right! I am a new customer and recently purchased raspberry plants and asparagus crowns. What you sent exceeded anything I expected. As to the asparagus, I split my order with A friend who had purchased some asparagus crowns from another vender. (I let him have 20 of My 100) He could not believe the difference. It is sooo G-O-O-D to find someone not intent on taking Advantage. Just letting you know, we received our strawberries, in great shape. We received 26 instead of 25. They are in the ground and we have received a lot of rain, that will help. We just saying Thank You! Great job. I was looking on your website for somewhere to leave customer feedback or comments. I wanted to let you know that I just received my order this week for several blueberry, currant, and gooseberry plants. This is the second time that I have ordered from you for berry plants. I was so impressed with the quality of the plants that I received that I wanted to make note of it online. I receive over 50 different plant catalogs each season, and have ordered berry plants from at least a quarter of them over the past 10 years. Never have I had such a positive experience in both the quality and the care in packaging of the plants that I received. I just wanted to share this so the rest of the world could benefit from the true amazing company you are, and stop settling for those half dead twigs that they purchased from other growers. On February 16th 2016 we ordered 125 Jersey Supreme crowns to be shipped on February 29. We just wanted to let you know how much we appreciate and how impressed we are with our order. A year or so back we ordered a hundred 2 year old crowns(Jersey Supreme) from another place (in my defense I did not know about y'all at that time). The crowns you sent us were so much bigger and healthy looking it was unreal. The few that were smaller was offset by the fact that there was 135 crowns, 10 more than ordered. We are considering adding more perennial crops to our operation and if we do, you have our business. Thank you again for all you do. 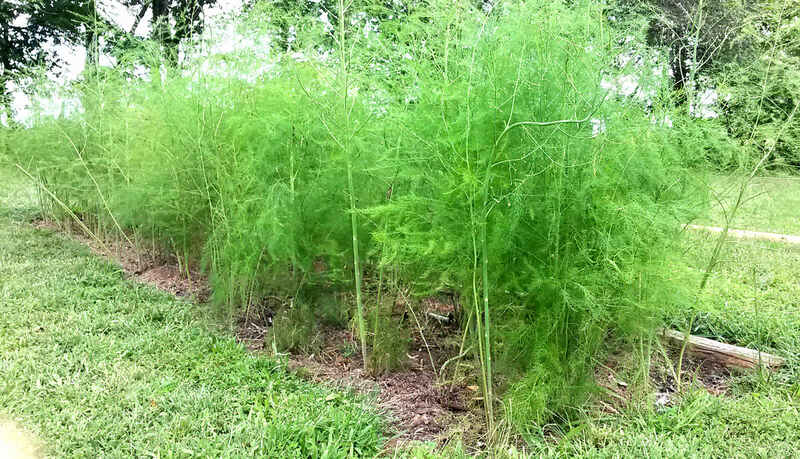 Just to let you know about my first attempt at growing asparagus with 50 of your Jersey Knight crowns. They not only all grew, but most crowns have multiple stalks and some large enough to have been harvested, first year in my ground! My plot is so thick with them, no weeding has been necessary. Thanks for a great product. I wanted to thank you for the Himbo top raspberry plants I purchased from you some years ago. They always have great tasting fruit on them. Even having survived two terrible winters, the remain healthy and prolific. I placed 2 to 3 inch thick pieces of decaying tree slices in between the plants, along with dirt to fill in the gaps. This year I tossed a thin layer of composted cow manure on top. I have 2 plants that appear to be 10 feet tall. I have never before seen raspberry plants this tall in my life. I just wanted to send you a note of thanks. My grandchildren love them…………….just like I remember eating my Grandfathers raspberries! 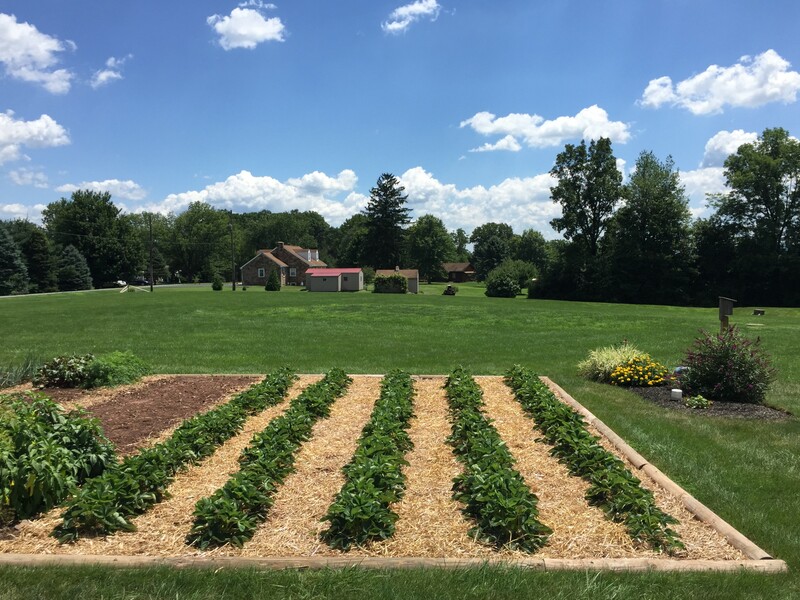 We have been very pleased with the strawberry plants we purchased in the spring of 2015. Out of 100 plants, 99 of them survived and even that spot got filled in with runners so you really can't tell there are any missing. We are very satisfied with the quality of the plants. The planting and care instructions have been very helpful. We look forward to a good harvest in the spring of 2016 and will recommend Nourse to others. I just wanted to tell you that the plants you sent me this spring are beautiful. They are thriving and getting so large. Thank you for sending such great stock, and thank you for the very helpful instructions. I'll be ordering another batch as soon as I can. I have been gardening for over 40 years and feel the need to write to say how impressed I was with the quality of the plants I recieved three weeks ago. 125 asparagus plants,100 raspberry plants and 9000 strawberries. Vicky stayed in contact with me all the way through the delivery. I was able to get them when I wanted them not just a random date, and the quality of the plants was absolutely amazing: big healthy root systems still in their dormant stage. Once planted they are able to thrive. Most all the bundles held more than the stated number of plants. Now, just three weeks later the plants are all looking amazing. Strawberries are huge helathy plants, raspberries all have multiple shoots and are growing great and the asparagus all have multiple shoots and are over knee high. And we have had over 9 inches of rain at this point here in northern VT. Thank you so much to the entire staff of Nourse farms for raising such wonderful well handled plant stock! It make gardening even more enjoyable. I just want to say I’ve found two companies this year that I consider to have outstanding products. NourseFarms is one of them. I have ordered several blackberry, raspberry, and strawberry plants and the root system on these are unlike any others I’ve found. My plants are growing stronger and faster than other companies I’ve tried and the shipping of your products is better than any other company I’ve found as well. Just wanted to say how happy I am with NourseFarms and I look forward to making much larger purchases come spring. I have write to thank you for providing such wonderful plants! Last year, I planted 25 strawberry plants. I cannot believe how many strawberries we have gotten! Even with my two sons raiding the patch everyday I have gotten enough to make pies and jam. 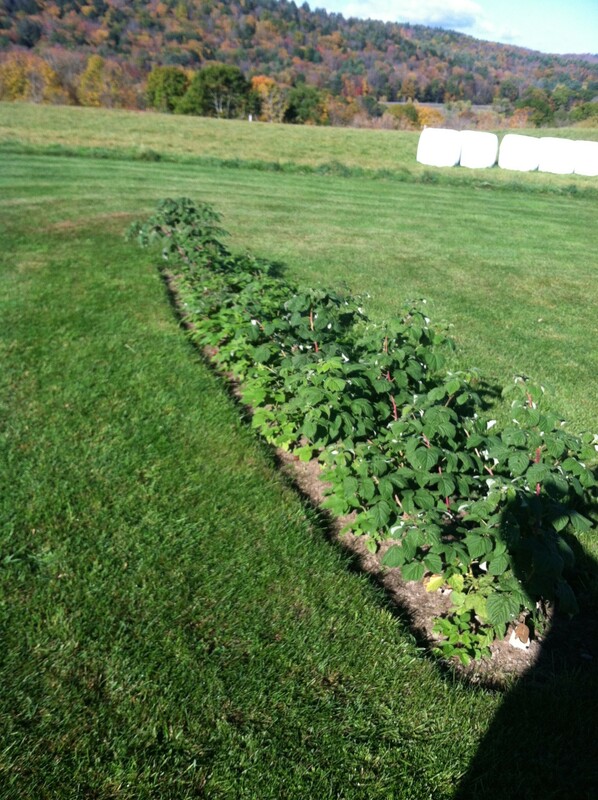 Also, the rhubarb and black raspberries I put in last year are huge! The raspberries already have tons of clusters of berries growing. Thank you for making it possible for a home gardener to produce this much in her own backyard! I have to tell you how happy I am with the quality of plants in my recent Web order. All 25 Guelph Millennium crowns emerged healthy. All but one of them in the first 7 days from planting. I had a hard time keeping up with mixing soil and compost to fill the trench. Now most of the stalks are waist high. All 25 Mara Des Bois strawberries and the 3 Cawood delight rhubarb have also grown. 100% survival is better than I could have hoped for. I can hardly wait to taste all of them. Then I can tell my friends in Guelph how much I like their asparagus. I purchased 25 Polka raspberries, and for the price, I expected just tiny plants, because that is what i had received from other places, before discovering Nourse. I was shocked at the large size of the plants I received, but I still did not know if they would grow - I had purchased bare root elsewhere previously, and they failed to grow. I followed the directions, and waited. I did not have to wait long. Within 2 weeks most of the bushes were either leafing out from the cane, or sending up canes from the root, or both, and by 3 1/2 weeks they were all sending up canes from the root. Although I purchased 25, in fact 28 were shipped. I thought this would be in case some failed to grow. However all 28 grew out. This is by far the best purchase I have ever made anywhere: the price was extremely low, the bushes were of extremely large size, and every one of them grew out nicely. Thank you, I am so happy. Finally, I have the raspberry patch I have dreamed about, and I am sure my wife will also be very pleased, because she too loves raspberries - the Polka is a primocane, so we can look forward to our first harvest this year. ... So I thought I'd send along a few pictures of my new raspberry plants! As you can see the plants are happy and healthy and have surprised us with quite a crop even in their first year. We've had our share of Japanese beetles and snails to contend with, but in the end, your plants won out and flourished. We plan to prune and trellis in the early spring. We had only one plant that didn't take, and since you sent us several extra, I have more than I bargained for. Thanks for great service, great stock. I can't wait for next year! The plants I received from you this spring are doing great. They have been very productive in this, their first growing season. Thank you. By Jack M 9/2014 Md. Thank you so much for the 100 raspberries ( 9 varieties ) and 300 strawberry plants I ordered. I have never seen the quality of plants that you provide in over 40 years of growing. After four weeks here in the long sunlight of Alaska many of my raspberries are a foot high. After three weeks my strawberries are blooming. 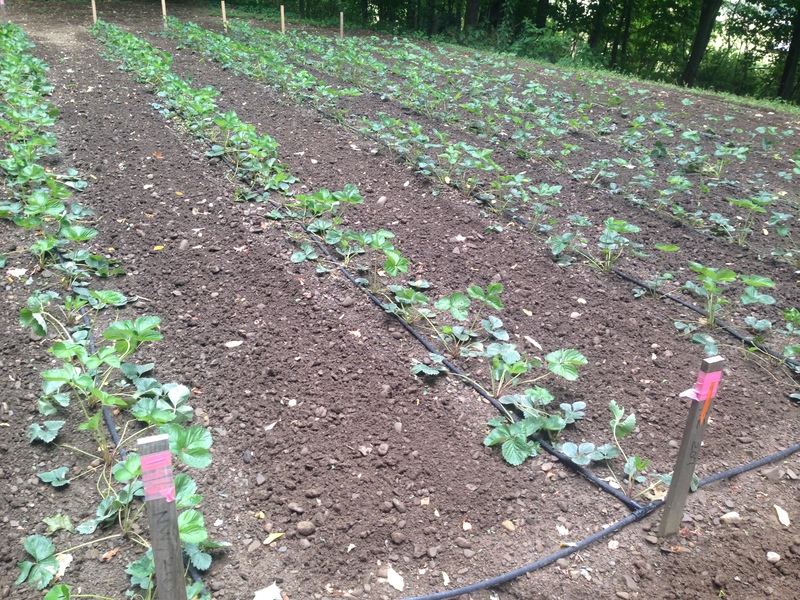 Oh, I forgot the twelve rhubarb plants- I measured one plant over 16 inches in width after four weeks. The impressive thing with the raspberries is the root system. Some of the roots which were up to 24 inches long have already sprouted up to 5 little plants. Thank you again. Just wanted to say your plants are unbelievable! ALL 500 Raspberries, 1000 Strawberries and 50 Blueberry bushes are alive and very well for over 6 weeks in the ground now! I still cannot believe not one is lost, this is unheard of and I tell everyone about Nourse Farms. Earlier this year I ordered Caroline raspberries from you that I was incredibly pleased with and wrote a prior email praising both the plants and your service. I said you’d be getting more business from me and I just received my order of Ben Serak and Pink Champagne currants. Once again I am impressed beyond my ability to express it. You sent incredible plants and once again the service was above and beyond. I just can’t say enough good about Nourse Farms and I’m letting friends, family and co-workers know. I will certainly be coming back in seasons to come for my berry plants. Once again a big pat on the back to all your employees. What an incredible job you all do. I ordered several Caroline raspberries from you this spring that just arrived. I wanted you to know how impressed I was with the plants you sent and the service that came along with that order. Your certainly go above and beyond. You will be getting more business from me and I will be spreading the word around about what a great place you are to do business with. Many thanks for a great experience! A big pat on the back to ALL your employees. What a great job you all do. I wanted to thank you for your service and on time shipping and let you know I set out the two hundred Cavendish plants four days ago. At the time I planted them they had no leaves....on a few you could see a greenish ball on the crown. Four days later almost all the plants have six leaves and are two to four inches tall. I had no idea they could take off that quick. Very happy. Just want you to know how wonderful your currents and blueberry plants are. they arrived on time and looked great. they are doing very well. I have ordered from other sellers and your stock is by far the best I've ever received. Hi, just wanted to let you know, in my 30 years or so of buying plants on line, I have never been so pleased, as with with the recent order I received from you. From packaging to health of plants when they arrived, to additional info you provided for their care. 5 stars for Nourse, keep up the good work, you're first on my list for quality plants. The blackberries I ordered arrived a few weeks ago. I planted the bare root plants a few days after they arrived. The instructions said not to plant the green TC plants until after the threat of frost has passed - who knows when that will happen? I called Nourse for advice, and was told "pot them and put them in the sun indoors until it warms up. They might even grow a little in the pots." I thought "Yeah sure, like that's really going to happen." I stuck them in pots with some peat moss and put them on the table with the vegi seeds I'm starting. I'm still waiting for the weather. It had better clear / warm up soon so I can plant these blackberries outdoors before they take over my house! I can't believe how much these plants have grown in the 2 weeks since they arrived. I'll never doubt you again. p.s the Agri-gel is a nice touch. I can see where it can help get a new plant started. Over the years, I have purchased plants and roots from many different producers with mixed results and variable quality of stock. When I received the asparagus, strawberry and raspberry plants I ordered from you, I was amazed. The roots on every one of the plants and varieties were huge and very healthy. I have never seen such quality! I planted them within a week and they are all already sprouting, budding or the foliage has just exploded. I have not lost a single plant to transport or transplant shock. I am truly impressed with the stock you sent me. I will definitely make you my choice for all asparagus and berry plants from here on out. Thanks for providing such healthy, vigorous and beautiful stock. Loving the "Nourse" in the South! From Kentucky. JUST RECIEVED MY RED RASPBERRY PLANTS COULDNT BE HAPPIER . PLANTS WERE IN EXCELLENT CONDITION WITH HEALTHY ROOT SYSTEM. Just wanted to let you know that the Purple Asparagus I ordered from you the year before last are doing fabulously. The plants will be 3 yrs old in the spring 2014 and I look forward to a bountiful harvest. I did cut a couple of asparagus stalks to taste and they were delicious. Early this year I ordered 50 bare root raspberry plants for delivery the week of May 5, 2013. The plants arrived as scheduled, and I stored the box as delivered in my basement until I could do my planting on May 9. When I opened the shipping box, I was truly impressed by the quality of the bare root stock. I certainly did not expect such substantial root systems on each and every plant shipped! I got all the plants into the ground on May 9 -- I actually had to create a second bed for the last 15 plants as I did not expect such substantial stock. In just a couple of weeks, many of the plants had sprouted leaves, and I am now happy to report that every single one of the 50 bare root plants is thriving. Next year I should have an abundance of raspberries. I am so impressed by the quality of your product and the customer service of shipping in a specified week suitable for my temperate zone! Even though I am merely a backyard farmer, I was treated exceptionally well by your company and received outstanding product. In the future, Nourse Farms will be my GO TO source for berry plants of any variety, and I will happily tell my fellow gardeners of your fine service and quality. I am even tempted to order some of your blueberry stock for 2014, despite the dire predictions I've heard of the limited success of blueberry propagation in Nebraska. Just thought I'd drop you a line to let you know what a great little item the strawberry plasticulture tool is. I didn't even know about it until I viewed one of your online videos. When I saw the video, I added it to a small plant order. I just finished planting the 25 plants, and it took 10 minutes! Normally, that would have taken me 30 minutes minimum. You should promote this item more on your website; I'm sure other small-time home gardeners like me would really appreciate it. We thank you for growing wonderful strawberry plants. We planted some of yours last year and were impressed. This season we recently finished planting 57,000 Nourse plants - Cavendish, Sonata, Annapolis, Brunswick,.. All varieties were healthy, packed superbly with uniform root lengths, and bundled without tangles. Packing them so well helps us during planting; the transplanters do not waste time untangling plants, which makes creating a consistently spaced field much easier. Hello, I just want to say thanks for sending me healthy bareroot plants ,they are doing fine . I recieved the himbo top ,joan j, tula magic, royalty,lauren, and josephine raspberry. They look good nice green leaves I believe this year harvesting from these new plants and also the strawberry bareroot jewel and albion are doing good also I have berries that are getting bigger ,yal are a good company and yes I'll be ordering from yal again.Thankyou . Order arrived today...Thanks for the fast shipment and HIGH Quality plants. It was a pleasure to speak with you today. So far, I am very impressed with your customer service, and marketing for your product (I found your catalog easy to understand and informative). I am glad my friend referred me to your company. Thanks for the tips. I plan to have the amendments we discussed for the barrels in and ready when the plants arrive. The strawberry and raspberry beds are ready to go, except for laying out the drip lines. I appreciated you input and suggestions on the plant varieties and the reference to the Cornell web site. I have been using the Utah State University extension service "master gardner" service we have in our area, as they are the state agricultural school and are familiar with the local weather and soil/water conditions. They have been a big help to our local gardening needs and questions. Thanks again for your help. I will look forward to putting the plants in when they come and seeing how they do. If things work out as well as they did for my neighbor, I will be a happy camper. It is so refreshing to deal with someone who cares so much about customer service. That is one of the most important contributors to customer allegiance, and the least practiced. Believe me I know, having been in business for many years before retiring. ...You have been a hot topic on our Alaska Farm and Food Group on facebook the last few days. There are a few of us ordering. Everyone is impressed by the customer service. Received your shipment of plants the first week in May. They are the best I have purchased anywhere. Thank you for such a good quality product. I just got back with the order I picked up this morning. I wanted to just drop a quick note to say how good the customer service is at Nourse as well as how good the plants are. We are in the midst of planting the raspberries I picked up a couple weeks ago and the quality of those plants as well as the 200 blueberries I picked up is great. I look forward to ordering more plants for next year. Just wanted to let you know the crowns made it here fine and are planted. They are the best looking crowns I have ever ordered thru the mail. 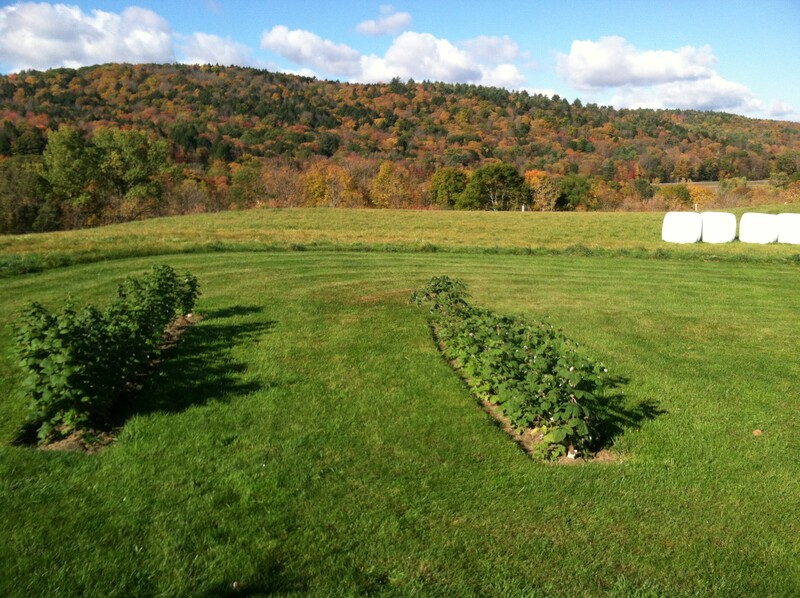 Last week we received a shipment or raspberries, blackberries, and asparagus from you. I wanted to write to say that all of the plants arrived in great shape and on time - exactly when I was told they would arrive. We really appreciated all of the knowledgeable people who helped us choose the right plants and get ready for planting. Working with your staff was a pleasure. The frosting was getting plants that were so healthy and in such good shape. Just wanted to send you a picture and let you know how happy we are with the asparagus crowns we received from you this Spring. As you can see in the picture they turned out wonderful. They produced, on average, 10 -16 shoots per crown without any skips. The majority of the shoots are over 4 feet tall. They are awesome. Thank you so much and we look forward to ordering from you again. Just wanted to drop you an email to thank you for providing a superior product. In the past 30 years I have ordered plants from a variety of sources, and have never received any better plants than those you provided. Every one of the 50 asparagus and 5 blackberry plants survived and thrived. Count me as a very satisfied customer. I have been meaning to write for the past year. In the spring of 2010 I ordered 25 'Autumn Britten' Raspberries. I have been growing raspberries for years and wanted some new stock. I am a home gardener and use the berries for jam. When they arrived they were the best stock that I have ever seen. Roots galore! They produced last year, survived our bad Long Island winter, and are absolutely incredible this year! You have by far exceeded my expectations. I just wanted to write and say that you guys are amazing!! We ordered 25 raspberry bushes from you about a month ago, and they arrived in great condition and very quick. I was amazed that every bush made it and we already have blooms!! We will definitely order all our berries from you in the future and we have already recommended you to many others. I want to thank you for your good service. Over the years I have dealt with several web (mail order) nurseries, and have been the most pleased with yours. You shipped our order quickly. You shipped it in a strong cardboard box with moisture foam around the roots. You shipped our order with long roots. The plants look good, and your price was good. I feel very comfortable recommending you to anyone. 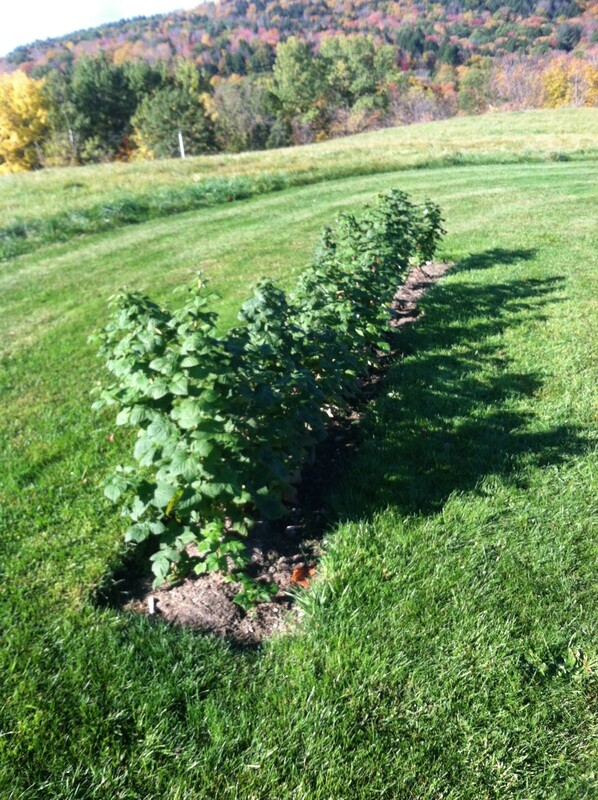 i recived my raspberry plants yesterday - - the plants are just great .you are right, you are the best! Just a little note to say, "WOW" and Thank You. Of the 1000+ Winona Strawberry Plants I received, I proudly say we have not LOST a single plant! Even during this rainy April and beginning of May, all the plants are growing and very healthy. I give all the credit to you at Nourse Farms, for a job well done!! Just want to say thanks. We ordered 150 that we just received this past week. They were in very nice shape. So we decided to order another 100. Over the last 3 weeks I have received and planted orders of 250 Himbo Top, and 200 Caroline, and I could not possibly be happier. The roots on those plants are fantastic. My Himbo Top order arrived 4/6 and were one bundle short. A phone call to Annette solved that little problem, and the other bundle arrived a week later. I thought the roots on those were great, but then this week the Carolines arrived, and they had even better roots than the Himbo. All the plants were in the ground within 6 hours of arrival, and some of the Himbos are already showing growth. I look forward to a good summer. I sincerely appreciate the effort you put into growing great stock, and getting the shipments out on time. In the past I’ve placed orders with other suppliers, but NONE came close to you in quality or service. I just had to write and tell you what I thought about the 2 Ben Sarek currant plants I received from you. I was SHOCKED. I never saw such wonderful, large, healthy plants. There were huge, and I was amazed! I couldn’t plant them right away, but I did about a week later. They only took a short while and green leaves appeared on both. Thank you so much for being such a fantastic nursery. I just ordered strawberry plants and I know they too will be of excellent quality. I received the strawberry shipment, took care of the plants as directed, and got them in the ground (almost) per recommendations. They look great and are taking off and showing spectacular new growth. I have only a couple questionable ones but I think you shipped me a few above the 150 I ordered anyway, so it all evens out. I’m letting them poke up a little more above the week cloth I put them in before I cover it with mulch. So far, the Alabama rains have helped, but I’m working on drips for when there isn’t adequate rainfall. I’m excited about turning an eyesore area into a 50’ x 3’ raised planter full of strawberries. Thanks for the great plants. Wanted to let you know the 25 blueberry plants (5 each of 5 different varieties) arrived today as scheduled. The plants are in excellent shape. I have ordered bare root plants from other nurseries and your plants are by far in the best condition of any I received from others. They were planted within a few hours of receipt and have no doubt they are off to a good start. Thank you for the quality plants you provided. You guys are great! The raspberries I planted last year are going like crazy this year already. I can not wait for my new ones to arrive! Just wanted to say thank-you for the great service and product. We ordered 500 earliglow strawberry plants, planted them as per your directions and within a week, every one of them was putting on leaves. Thank you so much for your emails that remind us our orders are coming! They are very helpful. Thank you so very much for your wonderful plants and excellent serivce! We are Nourse Farm Fans and tell others about you as a place to get berry plants! This spring, I ordered day neutral strawberries, Evie and Seascape. I planted them in raised beds that measured 3’ X 6’. I did not grow them in plastic, I used buckwheat hulls for mulch to keep the berries clean. I followed your care instructions and nipped flower stalks and runners until mid season. I fed them ProGro organic granulated fertilizer. I did not have to water as it was a moist spring and early summer here in Vermont.. The plants were huge and lush! They started fruiting just as the latest June berries were done. I have had the most abundant crop of amazing berries in all of my growing career (which is considerable.) I wonder, with these two day neutral cultivars, why anyone would want to labor over and wait for June berries! They are so easy and so healthy. What stellar winners these berries are! Thanks so much for bringing me the best in berries! I have bluebs and rasps also and I am a berry happy customer!